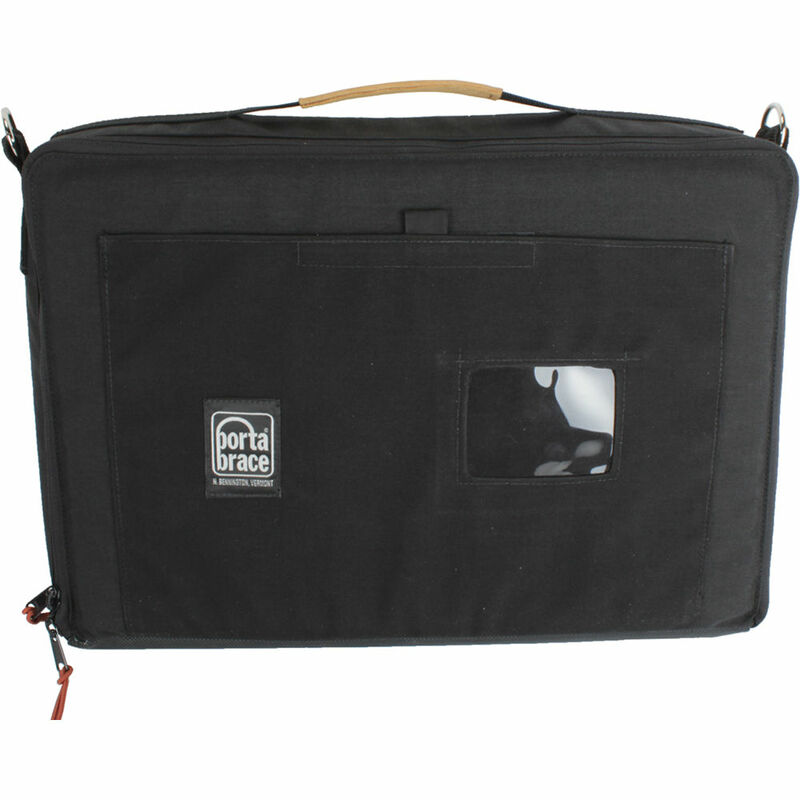 The black MO-LH1710B Flat Screen Field Monitor Case from Portabrace is made using 1000-denier Cordura material, and is designed to fit the Panasonic BT-LH1700W / LH1710W / LH1760W Field Monitors. A fold-out anti-glare visor improves screen visibility while using the monitor outdoors. A sturdy stand folds out to angle the monitor for optimal viewing. The stand and visor fold back into the case and the entire unit folds into a protective compact case. The bottom of the case is lined with anti-skid, waterproof material to provide a solid protective base. The included suede leather HB-1040 Shoulder Strap can also be used around the neck to support the monitor while viewing. Box Dimensions (LxWxH) 20.394 x 15.984 x 4.882"